I made these stitch markers (my first!) back in October of last year for a stitch marker swap at Crochetville. 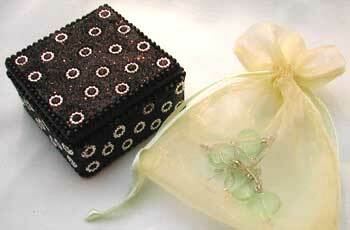 I packaged them in organza favor bags, which I then put in these sweet little black boxes I found at Target. I love finding and using special packaging for gifts. What fun! 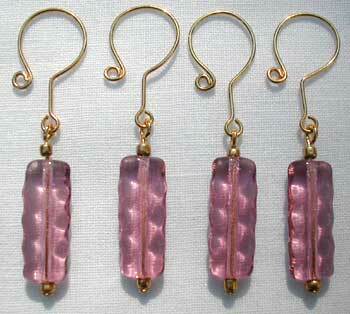 I probably still wouldn’t have gotten around to trying my hand at stitch markers if I hadn’t joined a swap. those are great stitch markers! :) and great packaging. the packaging really does make a difference! i love your markers! especially the style of the wire work….and you’re right, packaging can make something much more special! Remind me where you got these beads again… I used to know but can’t find the link. I think. Great job with the wires! Very nice markers! I love the box too. Hooray, you’re back! 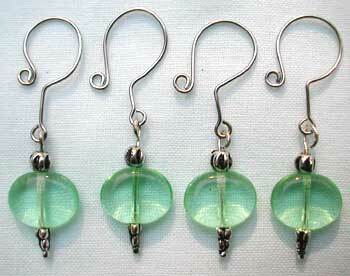 Lovely stitch markers, and elegant packaging makes them even nicer. beautiful! markers are a lot of fun to make – instant gratification! 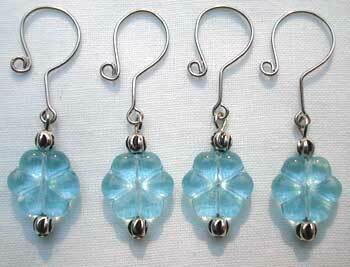 I love making stitch markers for gifts or to add to a swap package. Yours are so elegant…nice job! Lovely!! What a fantastic idea!!! Gorgeous markers! Love the wire work. And the packaging idea was too cute! I adore your stitch markers! Beautiful!! 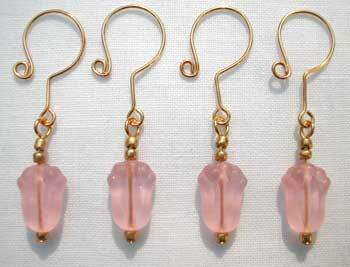 These stitch markers are gorgeous! I’ve been lurking around looking for some inspiration to make my own stitch markers and I’m so glad I’ve seen yours! Beautiful Amore! I never knew stitch markers can be so beautiful. At first I thought they were earrings. Usually to save my stitch I use a safety pin. I plan on getting more crochet supplies. I just started crocheting earlier last year. I never knew their were so many crocheting blogs out there. Well gotta go and check out some more. How can I purchase your crochet markers?